Housing Authority signed a five months contract with Fairdeal Earthmoving Contractors for additional works at the Matavolivoli Stage II subdivision in Nadi on Friday 7th July 2017 for a more improved land development project. While signing the contract, the director for Fairdeal Earthmoving Contractors assured Dr Sethi about the delivery of these works on time despite the current shortages of cement in the country and also assured to deliver quality workmanship. 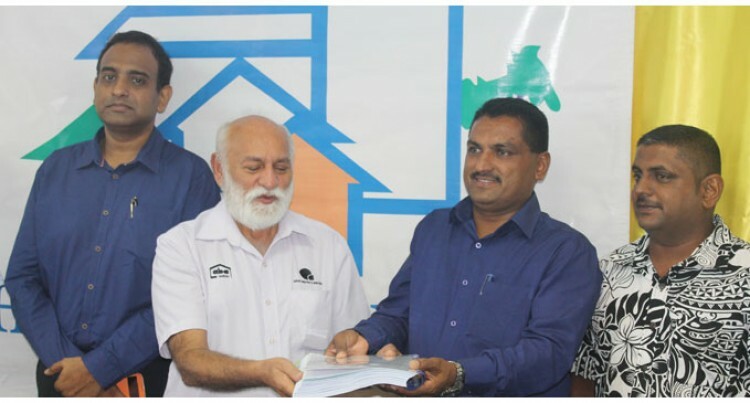 Dr Sethi maintained his position stating that the Nadi market is eagerly awaiting the sale of these lots and these additional works should not delay their delivery any further. The Matavolivoli subdivision will deliver 402 lots inclusive of residential, civic, commercial and industrial lots, with a space allocation for strata units to be constructed to complement these lots. Lot classifications in this subdivision were mainly classes B, C and D with the main target market being our low to middle income earners.